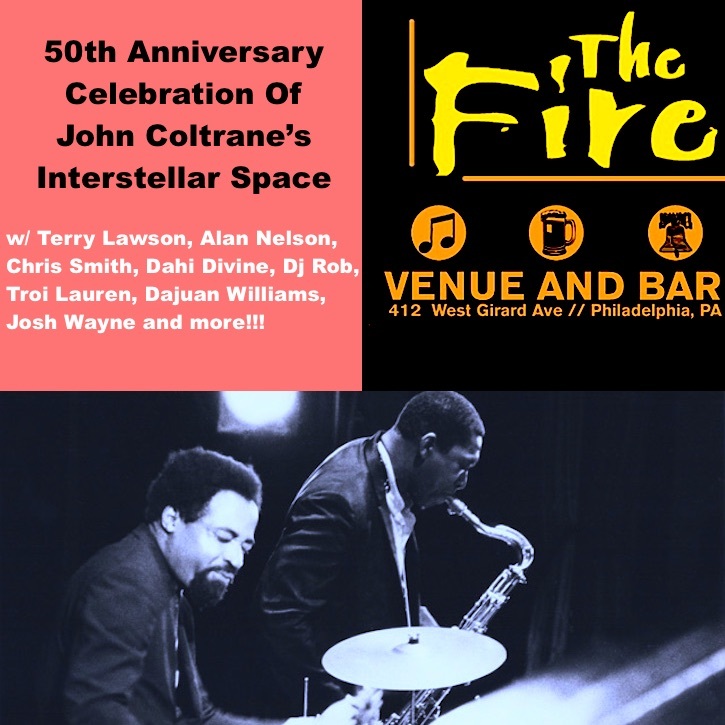 On Wednesday, February 22nd, 2017, The Fire will present a celebration of the 50th anniversary of the recording of the, groundbreaking, Interstellar Space recording session between saxophonist, John Coltrane and drummer, Rashied Ali. The event features an interesting, inter-generational array of musicians from various genres, all eager to share their admiration for the work and vision of John Coltrane. Since 1999, The Fire has been hosting local, national and international musicians, many of whom began their career on The Fire stage: John Legend, Amos Lee, My Chemical Romance, Maroon 5, Jason Mraz, Bill Kreutzman of The Grateful Dead, Sun Ra & His Arkestra, Dr. Dogg and many others who have graced the stage there. PJP spoke with Karen Saillant of The Fire about the upcoming Interstellar Space Tribute. PJP: What is this Interstellar Space Tribute about? 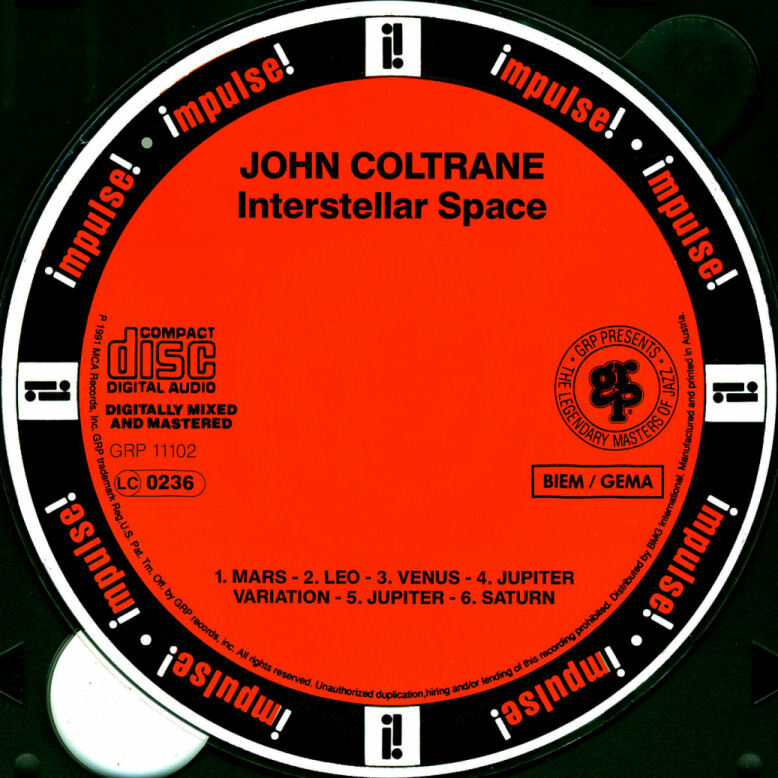 Karen Saillant: The Interstellar Space Tribute is about opening up the consciousness of Philadelphia and her various musical artists to the rarefied artistic climate created by John Coltrane's Interstellar Space - a vibration which transcends musical genres and continues to resonate, even more cogently today than when first created fifty years ago. PJP: Why did The Fire Bar decide to do this? Karen Saillant: One of our goals is to be a place where musicians of differing genres can come together, be introduced to musical languages which they might not have previously considered as relevant and find inspiration to expand their vocabulary and embrace another genre in the community of other musicians. We want to be the place where doors are opened and boundaries are expanded. In our opinion Interstellar Space offers an unequaled opportunity to explore important new territory for musicians of every style. Additionally we want our stage to share musicians who are Authentic, Spontaneous and Inspired. 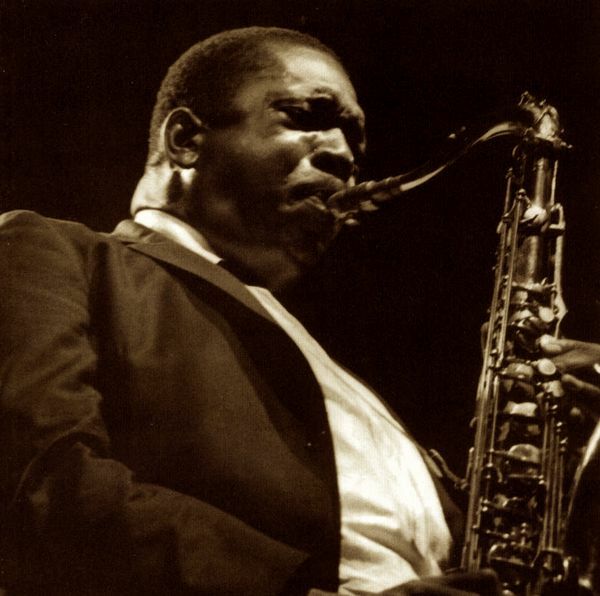 John Coltrane himself, as well as the musicians involved in this project, exemplify those attributes. We are thrilled and honored to be the conduit for this stellar event. PJP: Why is it important? Karen Saillant: We believe that with the creation of Interstellar Space, Coltrane offered the world an opportunity to go on a musical journey to visit places which had never before been explored. We feel that Philadelphia is ripe territory for insemination of these seeds - especially on the 50th anniversary of the recording and especially in our world as it is today. We believe Coltrane would be happy to revitalize these seeds here in a town where he found such affection and love. Now is the time! PJP: Who will be participating and why should music fans come out? 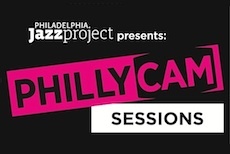 Karen Saillant: We are so excited to host two days of private jams where Philadelphia jazz elders and talented young musicians will come together preceding the Wednesday night premiere. Our music room is honored to be the location for this exploration of new ways of expressing the various planets which Coltrane investigated in his Interstellar Space. Chris Smith is the musical director. I heard him and his production company Blood Brothers perform at The Fire a while ago and I was deeply impressed by their musicianship, artistry and commitment to truth and honesty in their music. In addition, on Wednesday evening, our Anniversary Celebration of Interstellar Space recording will culminate in the re-imagining of Interstellar Space by two legendary Philadelphia musicians: Alan Nelson on drums and Terry Lawson on tenor sax. It is such an honor to also have these gentlemen performing on this luminous occasion. Homer Jackson of PJP will be speaking about Interstellar Space and why it is so relevant to audiences today. I cannot wait to hear this presentation. Last week when I was riding to The Fire in Uber, I was speaking to Homer about this event and his words actually were so inspirational as to bring me to tears. I feel totally called to have this event at The Fire in Philadelphia on February 22nd, the 50th anniversary of the actual recording and am so thrilled that so many other outstanding musicians have committed to join us. PJP: If folks want to find out more about this event how might they do that? Karen Saillant: They can check out our FACEBOOK PAGE, or our WEBSITE.